This is the cabin for you! Check our Bloomington, Indiana INFO listed below to ensure that perfect weekend in Southern Indiana. The population of Bloomington (including IU students) is about 65,000. Bloomington, Indiana has a wonderful farmers market each Saturday morning during the growing season. Bloomington Indiana is a college town and a family town, twice designated an all-American city. Visit Bloomington, Indiana for parents weekend, freshman orientation, home football, basketball or soccer weekends. Visit the IU Bloomington campus. Lake Monroe Reservoir is one of Monroe County's most popular attractions. Many people choose Bloomington, Indiana as a retirement location. With IU sports and entertainment, great medical care, affordable home prices and a low crime rate, this community and surrounding Brown County Indiana is quite attractive. Look at homes for sale in Bloomington. 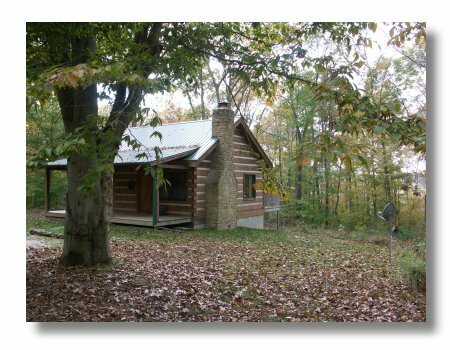 Red Cedar Log Cabin is the perfect place to stay while house hunting!